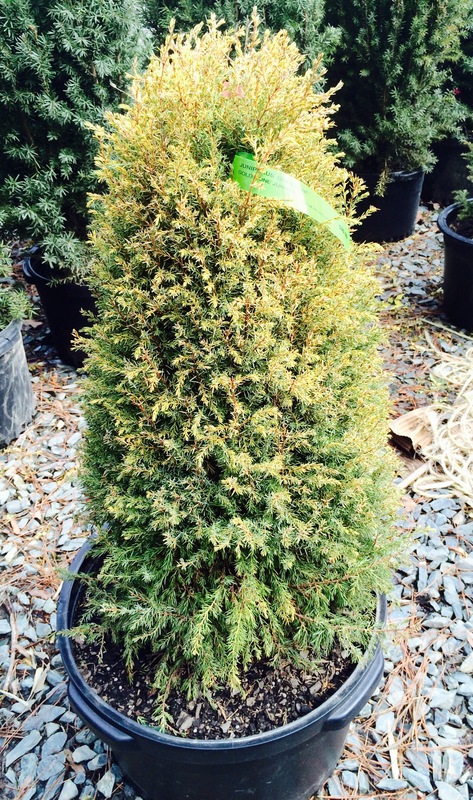 Gold Cone has bright yellow foliage that softens in color during the winter months and a very narrow, pyramidal form. Slow grower reaching 8 feet in height and 2-3 feet in width over 10 years. Prefers full sun.